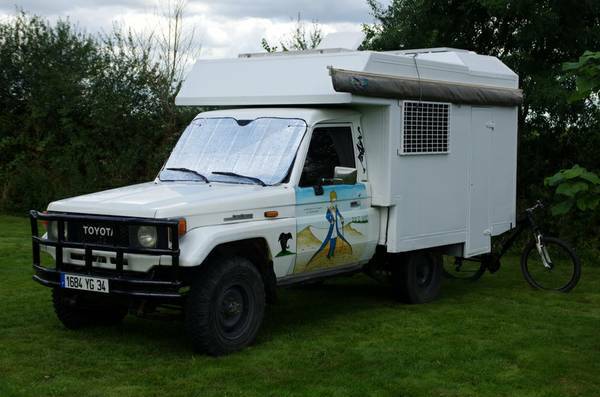 Showing Articles Posted In: "Custom"
Toyota Land Cruiser for sale, when you're looking for a tough off-road vehicle with modern retro style this could be perfect for you, is special designed to accommodate all you needs when goes to extreme roads or at off-road playground. As shown here is one best modifications example by expert were based on best option of the Toyota FJ Cruiser off-road lineage. This 2011 Trail Teams Edition has been modified by professional under highest quality of parts and installed was complete when the odometer shows 50000 miles, now it has 64900 miles. 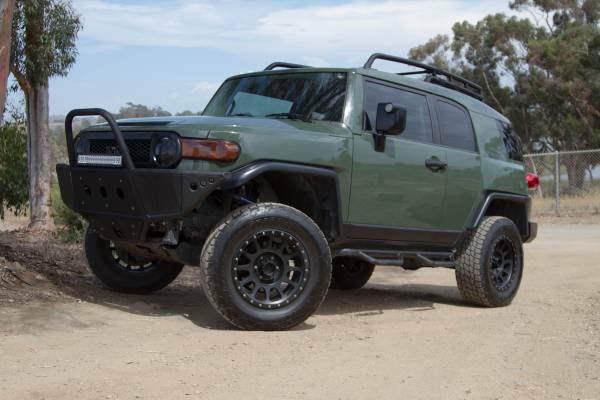 This is a good opportunity to have one, 2011 Toyota FJ Cruiser Trail Teams Edition in greats condition come with a lot of upgrade parts, ready offered for sale by owner for $29900 located in San Diego, California. 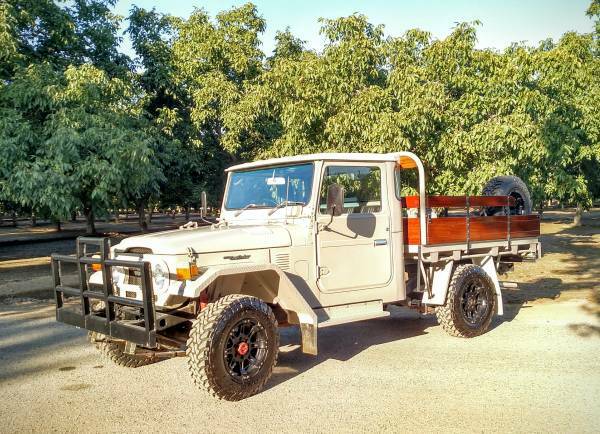 Toyota Land Cruiser for sale, found this rare custom of the Land Cruiser being offered for sale in Gilbert, as shown here is a cool adventure camper built above 1988 Toyota Land Cruiser BJ75 has been driven about 374000 miles and still in excellent condition reported. Need more info please read more below. 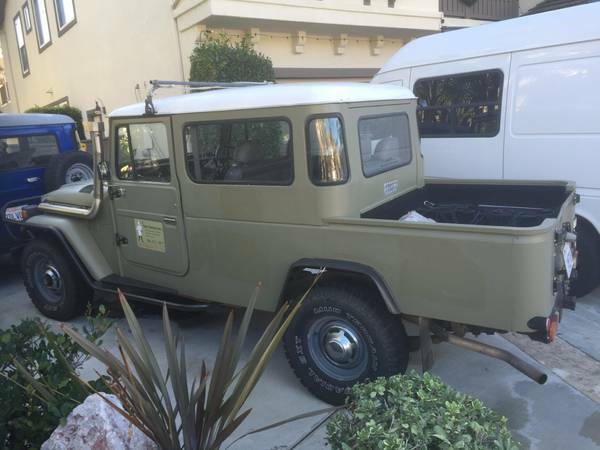 Toyota Land Cruiser for sale, found this old restoration of the FJ40 being offered for sale in Craigslist looking for $18900. 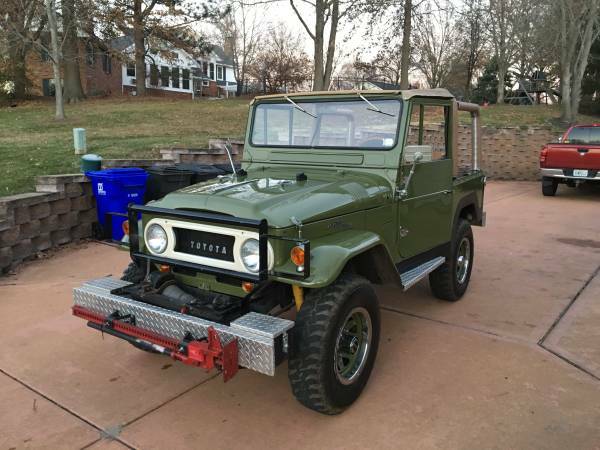 As shown here is 1972 model has been fully restored fairly cool soft top model with a bull bar custom build including winch and off-road farm jack. Despite is old restoration example the appearance still look great inside and out, and no words about issue. Powered by original engine with original transmission only 59400 miles on it, that's could be perfect to owned. 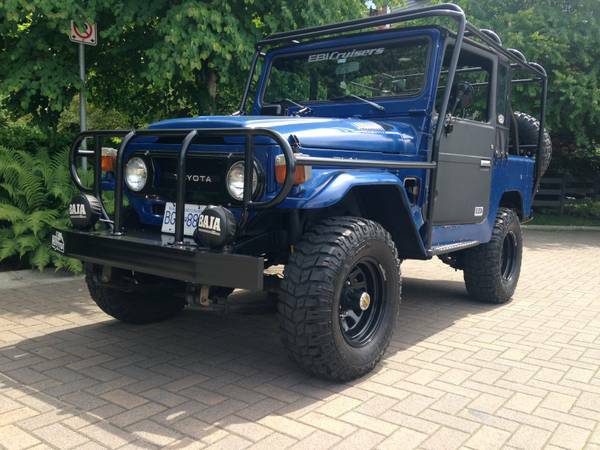 Toyota Land Cruiser for sale, 1976 Toyota Land Cruiser FJ40 for sale in British Columbia. Asking $13500 is said good overall recently done it has been rebuilt, restored and custom to rise its off-road capability. Needs more detail please read below. Toyota Land Cruiser for sale, this 1983 Toyota Land Cruiser HJ47 was originally a troop carrier model, converted into a crew cab pick up as part of an extensive frame off restoration effort. Originally it's an Australian car has featuring a lot good additional equipment, non US specs for sure. Yes it a Right Hand Drive car was offered with a bunch of extra spare parts. Powered by diesel mated with manual transmission has 145000 miles on it.